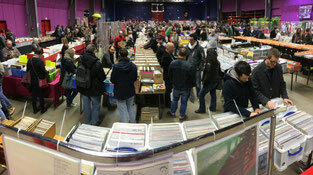 In 2017 more than 2500 visitors and buyers! 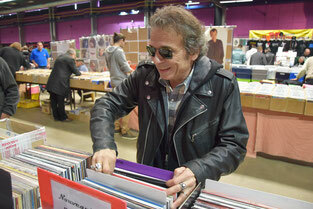 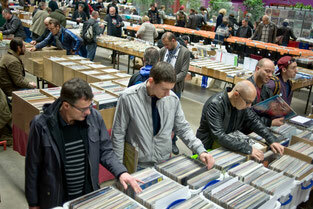 Appeal to all fans of vinyl and Cd’s for the 12th edition of the International record fair in Nantes. An event that over the years has become the inevitable place to be for music fans, diggers, DJs, audiophiles, and other vinyl enthusiasts. 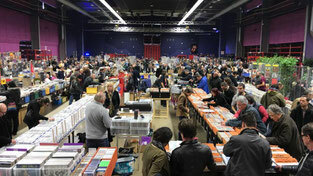 With more than 100 retailers, stores professionals, record companies and great record collectors fans from all over France, and even further afield, the fair offers the widest choice of vinyl and CD from all over the west. 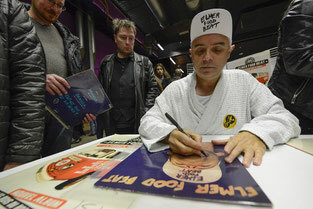 Don't be surprised if you come across celebrities looking for their own original productions. 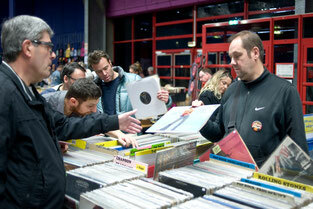 The lounge attracts and welcomes many artists and people who work in the world of music.